A style expert and web entrepreneur dedicated to helping other boss ladies get their business out there so they can own their Star Power. Can’t wait to know you better. Of the New York Minute, Big Apple kind. Actually raised in Brooklyn before it was cool, and now live my dream in a downtown Manhattan loft with my husband, teenage son, and toy poodle. 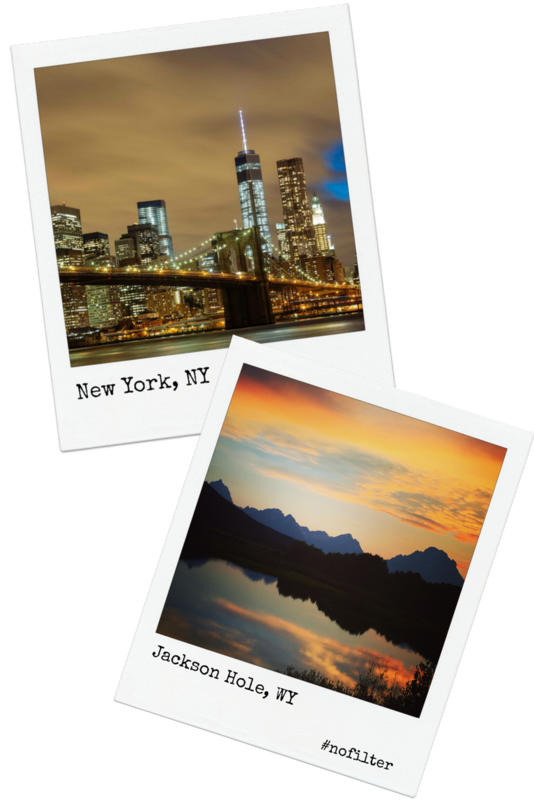 We have a vacation place in Jackson Hole, Wyoming where we marvel at the “backyard” moose peering in our windows, along with the constant amazement of the Teton Mountain Range. The respect of living at one with wildlife is something that I could never imagine growing up as a city child with a favorite pastime of finding designer bargains at Loehmann’s. I’m an only child from a very middle-class upbringing so I learned to make the most of what we had to live the life I wanted. Dreams are free… it takes the elbow grease to make them a reality. Living such a dichotomous life that is split between the fast paced city and the great outdoors is a freedom that I am very proud to have achieved. Being an only child taught me to observant, independent, forward-thinking, adaptable, and ambitious– the same qualities that the women I mentor seek so they can fall in love with showing up in life, business, and style when getting out there. Back in school, I did everything I could to not learn how to type because back then, typing meant I could fall back on an administrative job. Having that “safety net” scared me more than not knowing how my career would unfold. Who could have ever imagined that one day I would have founded a website, whereas a boot-strapping entrepreneur I would wear a multitude of hats every day? I’m also very proud of building the website, FocusOnStyle, back in 1999 (way before blogs were even fashionable). The site has evolved, adapted, and reinvented itself to continue to serve a massive audience of women who…. … demand the attention they deserve… stand in their star power… are seen as the relevant go-to expert in their field… and know how to live a life that they love. << FocusOnStyle.com through the ages. Well, since 1999. I would never have imagined that one day I would be an online entrepreneur as my main business. Let alone become techy. And love (well, love/hate it). It’s about being adaptable and reinventing oneself to stay relevant. 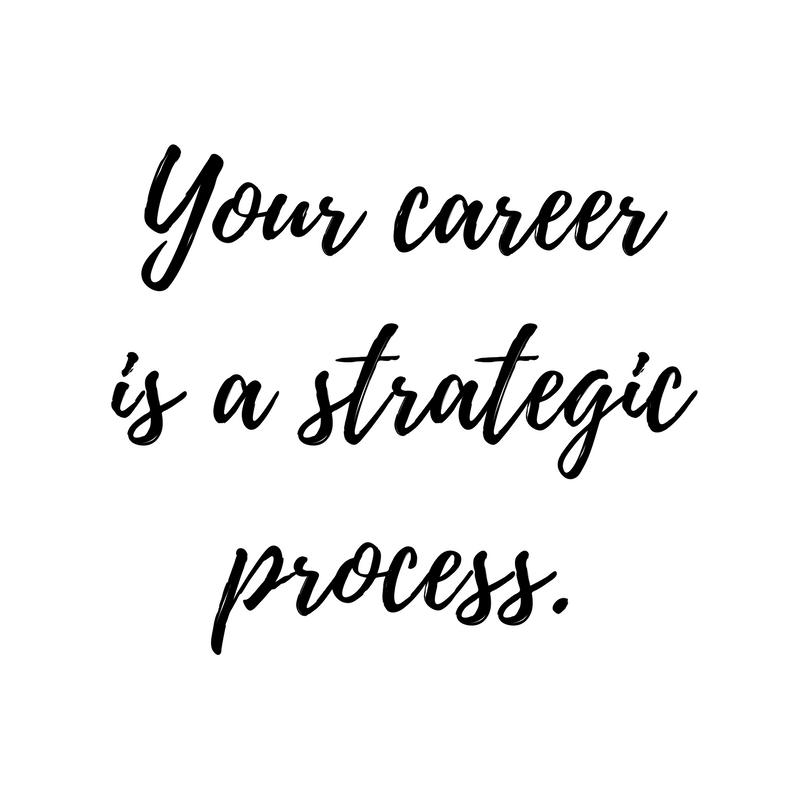 Your career is a strategic process. … your magnificent expertise builds up to who you are today… what you have to offer… and, the legacy you leave in the world. Although I have a business degree in Marketing, for 15 years I was a New York fashion stylist working on photoshoots from everything to Vogue covers to making cheesy sweats look so good that you would want to buy them. Positioning yourself to be ready opens a floodgate of opportunities. It has brought me a wealth of opportunities including starring in my own national Macy’s TV commercial (it was a stadium-sized green screen studio and Zoe Saldana was in the same campaign series). I’ve been featured in an anthology lifestyle book alongside other writers like President Jimmy Carter and Gloria Steinem. 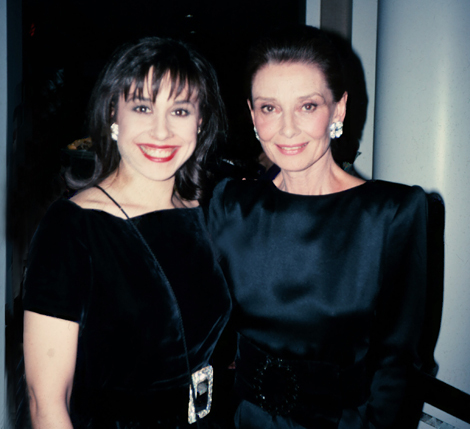 And spent the evening with my style icon, Audrey Hepburn. As a fashion and style expert, I have been featured in probably hundreds of television, radio, print, and online media outlets such as Real Simple, CNN.com, Martha Stewart Radio, Oprah.com, ELLE magazine, WeightWatchers.com, The New York Times, The Los Angeles Times, WebMD, Disney Family.com, Refinery29.com, Forbes… the list goes on from the first time I was a guest on The Joe Franklin Show, back in the day talking about old Hollywood glamour. Preparing yourself to be ready is mastery in progress. 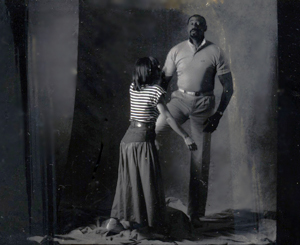 As a stylist, besides fashion models, I dressed people of different sizes and shapes including here, on the set with basketball legend Wilt Chamberlin. That first of many magazine covers that I styled. Of course, gazillions of diamonds (security guard to watch over) and extraordinary designer gowns are fun to worth with, but making an everyday look fantastic in her real life is far more rewarding. I starred in my own national Macy’s TV commercial as the Fashion Guru. 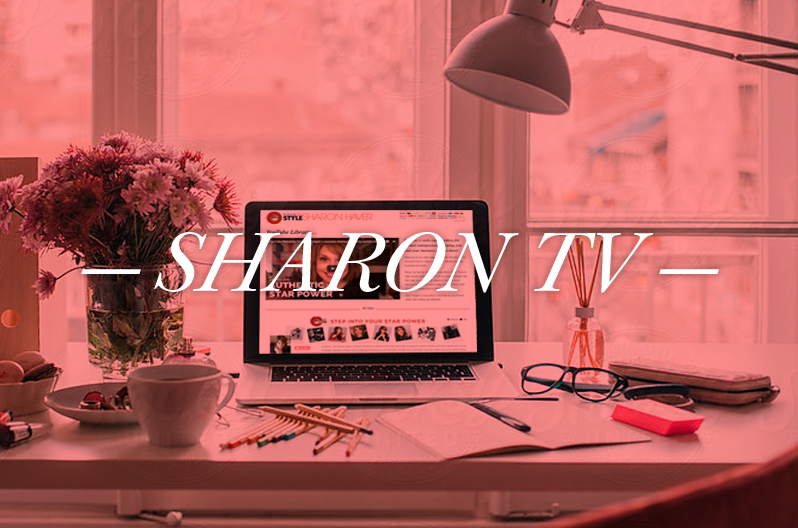 As a photography fashion stylist for a cornucopia of clients for over 15 years, Sharon enhanced the look of magazine covers/pages, catalogs, advertisements, commercials, industrials, and visual imaging. 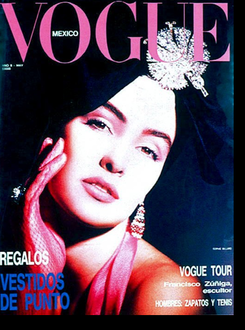 Her score of styling accounts included: Ladies Home Journal, Vogue Mexico, Us Magazine, Live! With Regis And Kathie Lee, A Current Affair, Avon, Macy’s, Sigred Olsen, Candies, Le Tigre, Perry Ellis, Pepsi Cola, VF Corporation (Basset Walker, Hathaway, Lollipops, Lee Jeans, Skeets, and Cottonworks), Gantos Department Stores, Bamberger’s, GTE, BMG Music, IBM, Manufacturer’s Hanover Trust, RJ Reynolds, Lady Manhattan, Oleg Cassini Suits and Night, Evan-Picone, Merona, In Fashion Magazine, Gunnar, Zoom, American Photographer, Soap Opera Weekly, and others. 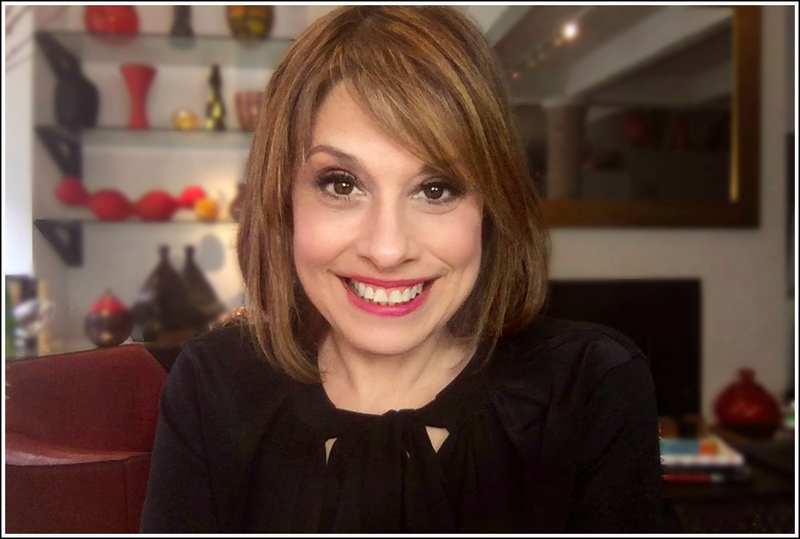 Learn how you can take my professional photo shoot experience and make it work for you in my free guide: How To Look Great In Photos. My draw was never to “fashion” per se but to help other women feel the confidence and unstoppable surge that I felt when I knew that I was showing up at my best. To empower that sense of owning your star power, I pitched a column to the Scripps Howard News Wire and it became my weekly stylist advice column that was distributed to 400 newspapers! ROCKY MOUNTAIN NEWS (Denver, CO), COLUMBUS DISPATCH (Columbus, OH), THE BIRMINGHAM POST, (Birmingham, AL), THE PRESS-ENTERPRISE, (Riverside, CA), STANDARD TIMES (New Bedford, MA), NAPLES DAILY NEWS (Naples, FL), STUART NEWS/PORT ST. LUCIE (Stuart, FL), SOUTH KING COUNTY JOURNAL (Kent, WA), READING EAGLE TIMES (Reading, PA), DECAUTER DAILY, (Decauter, GA), REPUBLICAN AMERICAN (Waterbury, CT), MOBILE PRESS REGISTER (Mobile, AL), THE TENNESSEAN (Nashville, TN), THE DAILY REPUBLIC (Fairfield, CA), MORNING NEWS (Florence, SC), ROCKHILL HERALD (Charlotte, SC), DAILY JEFFERSONIAN (Cambridge, OH), DAYTON DAILY NEWS (Dayton, OH), INDEPENDENT (Massillion, OH), ALLIANCE REVIEW (Canton, OH), CRESCENT-NEWS (Defiance, OH), THE DETROIT NEWS (Detroit, MI), THE SUNDAY PATRIOT NEWS (Harrisburg, PA), QUAD CITY TIMES (Davenport, IA), GLOBE-GAZETTE (Mason City, IA), SIOUX CITY JOURNAL (Sioux City, IA), ABILINE REPORTER-NEWS (Abiline, TX), UNION LEADER (Manchester, NH), PITTSBURGH POST GAZETTE (Pittsburgh, PA), HERALD-STANDARD (Uniontown, PA), BUCKS COUNTY COURIER TIMES (Levittown, PA), DAILY LOCAL NEWS (West Chester, PA), COURIER EXPRESS (DuBois, PA), STAR HERALD (Scottsbluff, NE), STAR PRESS (Muncie, IN), TRIBUNE (South Bend, IN), NEWS TOPIC (Lenoir, NC), MORNING NEWS (Florence, SC), SUNDAY ENTERPRISE (Brockton, MA), SUN (Lowell, MA), WATERVILLE SENTINEL (Central Maine), SUN HERALD (Biloxi-Gulfport, MS), NEWS PRESS (Stillwater, OK), DAILY CAMERA (Boulder, CO), DAILY NEWS (Jacksonville, NC), DAILY BREEZE (Torrence, CA), SACRAMENTO BEE (Sacramanto, CA), SUNDAY MERCURY (Guelph, ON, Canada), WAN Online (World African Network), PEEKABOO online. FocusOnStyle.com manifested from the desire to spend time with my infant son so I could work from home and not feel guilty that I wouldn’t be available when he needed me most. 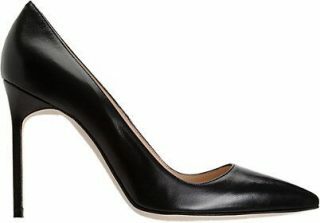 Through its many design iterations, the bootstrapped site has served millions of women since I created it between naps. Frankly, I never “set out” to make any of these career evolutions. What I did set out to do was to be open, informed, and ready to go to the next level wherever that should be. 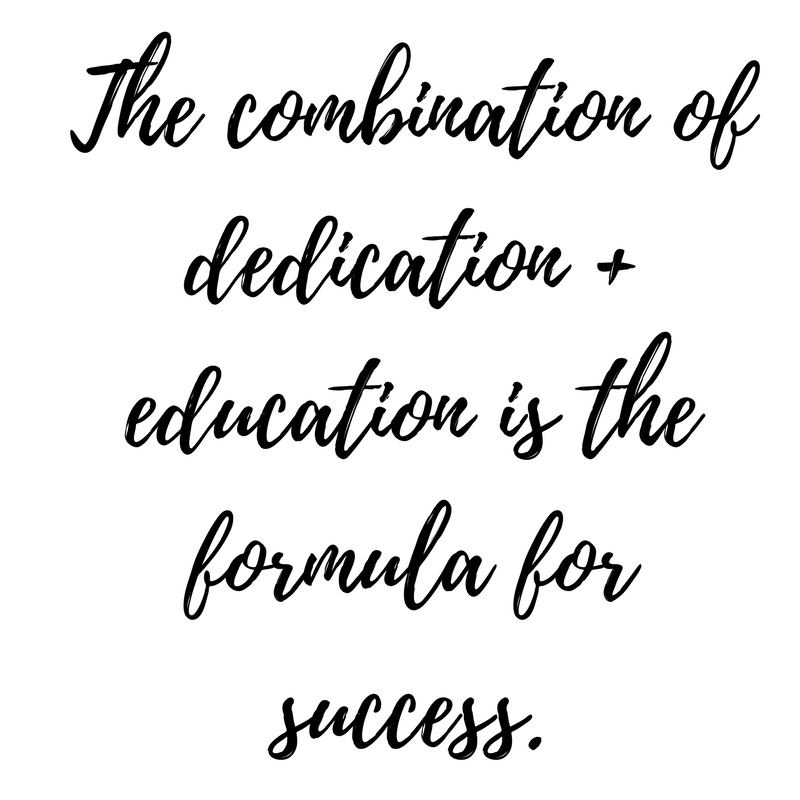 It’s the combination of dedication and education that’s the formula for success. Imagine how your life would look if you achieved that goal. Deeply feel how the endgame looks so clearly that you own that result before you even reach it. Are open and determined to make the effort to touch the finish line. That’s how you maintain the charge to succeed. Stepping into your STAR Power so you being the best at being you and live the life that others dream about is what I am committed to helping other women achieve so they can get themselves and their business out there. I make it my business to walk my walk. And can show you how to do the same. I only share what I know in my blog, video, and podcast…. 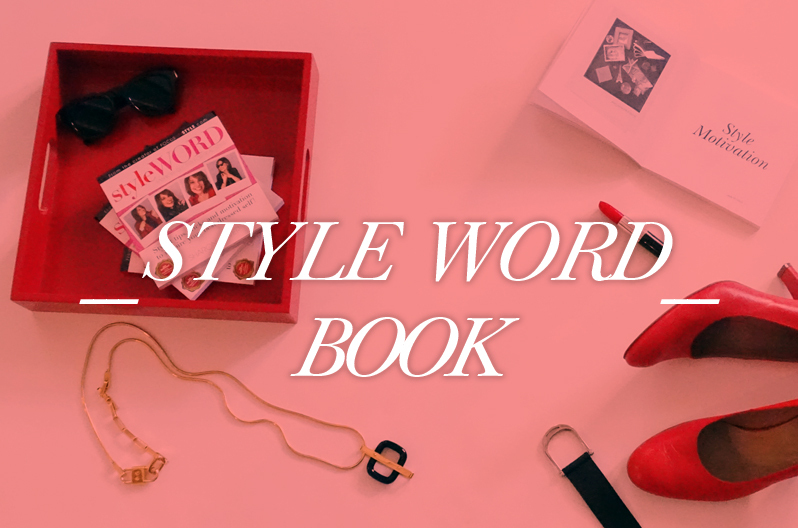 from new content to evergreen content since 1999, there are 1,000’s of free articles on FocusOnStyle. If you’ve gotten this far about learning more about me, I would dare say that you are intrigued. For those who want to achieve more personalized mentoring to strategically reach your goals faster and more specifically, please consider a variety of my premium programs and services that range from self-study to high touch. You can review working with me, here. I’m a Gemini so I’m a natural communicator. Communication goes beyond the spoken word in conversation. It is a combination of your visual message, your point of view, your expertise, and how you authentically position yourself to be seen to serve others. In business, you can think of this as branding. In life, you can think of this as being the best at being you. In life, you can think of this as being the best at being you. Helping others elegantly and effectively communicate their message so they can be on point with being revved up for revenue makes my heart sing. 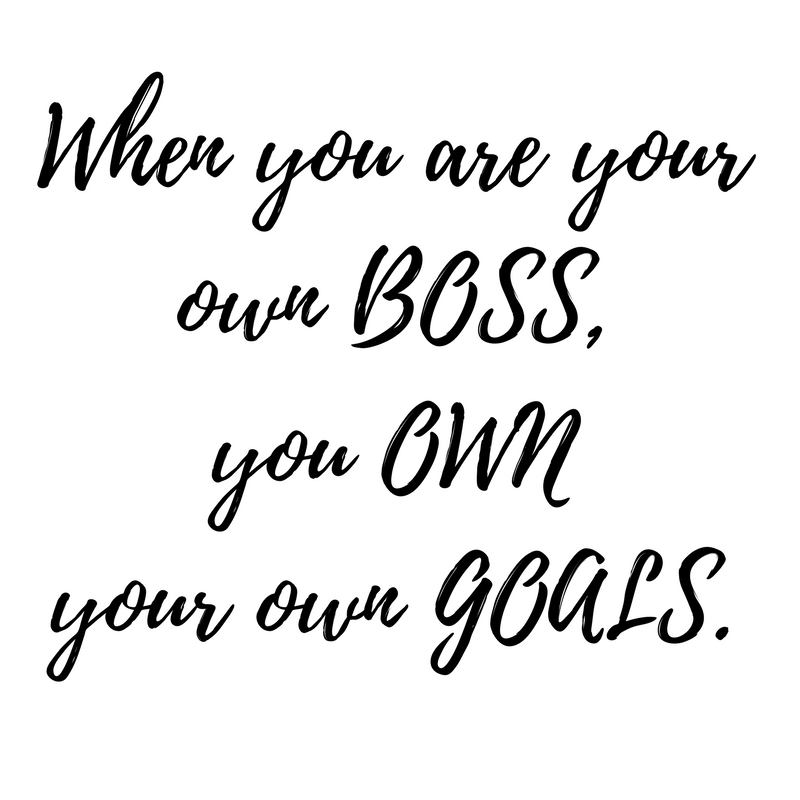 When you are your own boss, you own your own goals. 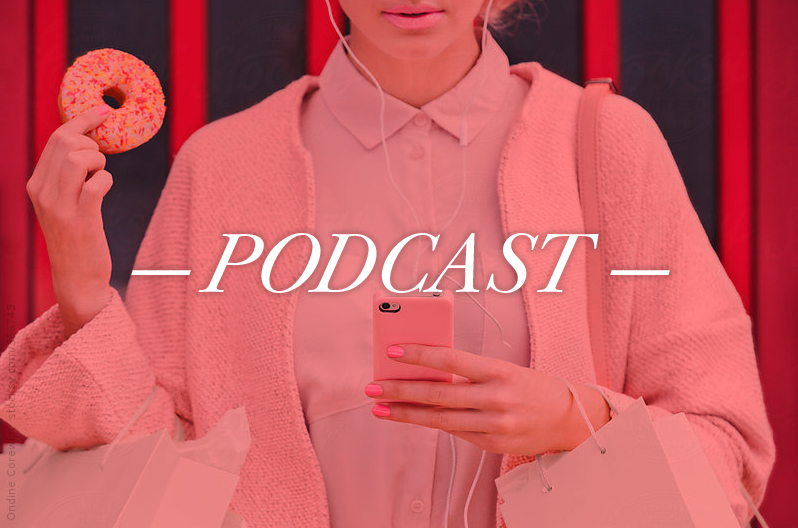 Therefore, on FocusOnStyle, we communicate in the way that feels right via blog posts, videos, and the 7 Days to Amazing podcast. You can also, of course, accelerate your success with our premium programs and 1:1 mentoring. Before you go, the best way to keep our connection going is to become an Insider. We have curated our most effective resources and have included exclusive bonuses so you can live the life others dream about. 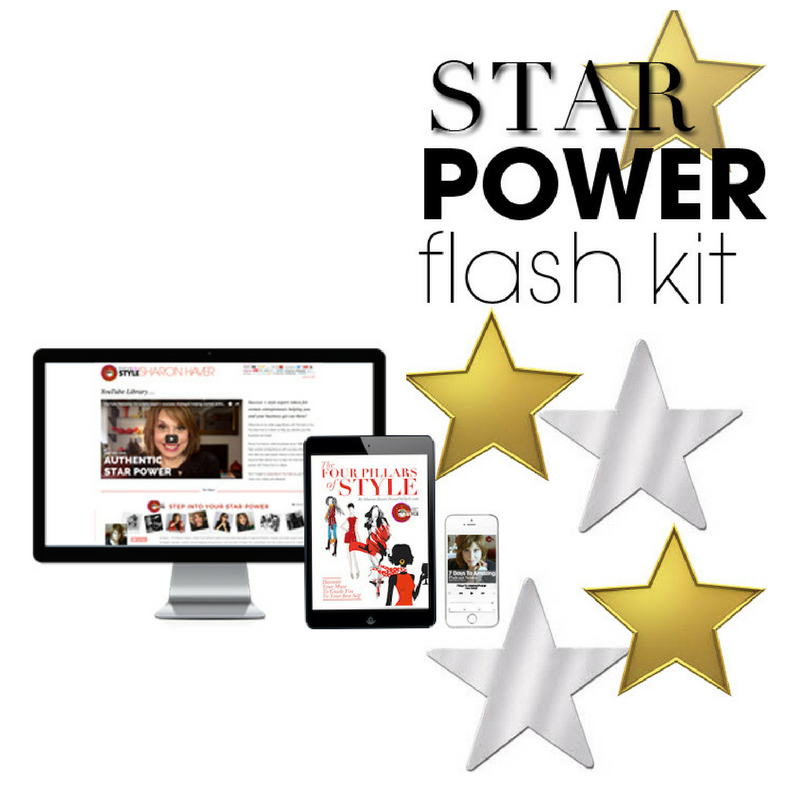 Not only do I share special goodies, opportunities, and tips only to those on my Insider’s list, my I have a free STAR Power Kit that’s all yours just for providing your name and email. I had my team waive the price of these immersive Insider’s kit to give you all the free tools and resources you need to start to redefine your personal+ professional image and begin your celebrity business brand training. It is a taste of what is offered in our premium services. 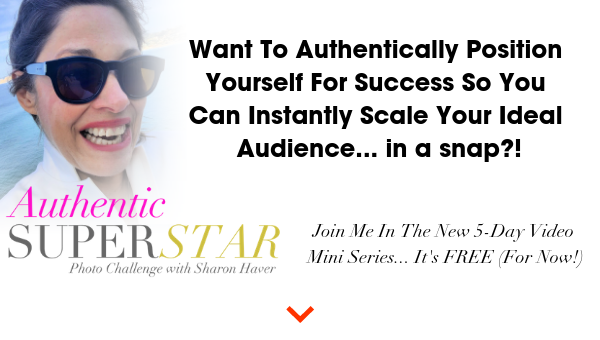 So if you are tired of wondering how to step into your STAR Power and sick of piecing it all together, I invite you to continue our connection and say YES to starting the movement of you!